Control Centre provides individual users as well as phone systems administrators with the online access they need to configure the system, set preferences and monitor activity through a simple, easy-to-use web interface. We’ve taken the technology used in the most sophisticated call centres and now offer it to our clients as a standard inclusion. Monitor call stats in real time, drop and drag agents in and out of queues, get alerts when call activity is outside your pre-defined parameters. Control Centre offers unique business sector modules to meet industry specific communications challenges providing our clients with a real competitive advantage. For the call centre manager, Control Centre gives managers and team leaders, live access to both the phone system and the real data that effects the business. 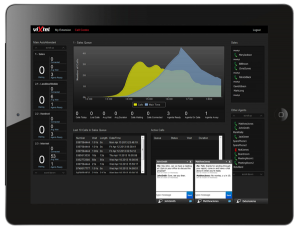 Control your call centre and priorities through simple drop and drag queue management, log users on and off and watch real time queue activity using a sophisticated web based dashboard. Any web enabled device can be used as your extension to the PBX. The softphone boasts full PBX capability and includes video calls, call logging and note taking. All PBX users can access and edit individual settings and make real time changes. Edit forwarding rules, view call logs and access voicemail. Control Centre offers a fax module allowing users to quickly send and receive faxes to fax numbers within the PBX. No more bulking machines or dedicated PSTN fax lines are required Control Centre. Control Centre offers the facility to record and store calls for quality and coaching purposes.